• Compact structure and portable. • No direct contact with hot flames/smoke. • Hygienic and safe usage. 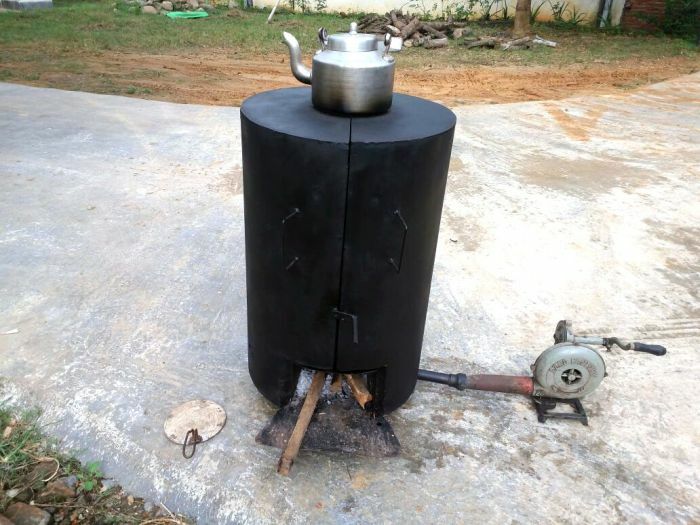 • Fuel use is firewood/bamboo charcoal briquette. • For drying 5-6 kgs of meat, about 1 kg of firewood required. • For drying and roasting of meat/fish/maize etc. • It can also be used as cooking and warming water. • Available at nominal price.